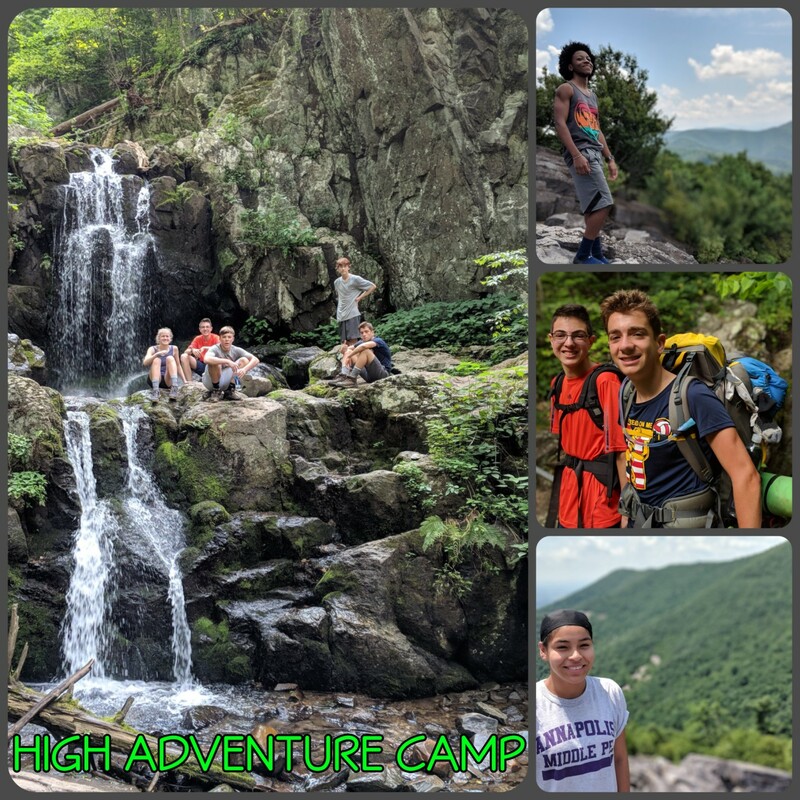 High Adventure Camp is a seven day, six night overnight backpacking trip for adventurous campers seeking to explore the natural world in a wilderness setting. Campers will spend the first day and night at Arlington Echo, learning all skills necessary for backcountry camping. Then we’ll board a bus and head to the trailhead to start our adventure in the wilderness! We’ll climb mountains, explore valleys, sleep under the stars, and splash through streams while making friendships and memories to last a lifetime. Level 1 is perfect for anyone! Campers with no camping or hiking experience and returning High Adventure Campers are welcome. Level 2 offers a more intensive backcountry experience for campers who have completed at least one previous week of High Adventure Camp. Space is extremely limited so sign up today! All outdoor education camps are open to any student who has an interest in the environment, adventure, and personal growth. Hiking to a remote campsite is an incredibly rewarding experience, but not without its challenges. While our staff designs the trip with campers of all ability levels in mind, backpacking is inherently a physically strenuous activity. Campers will be required to carry a 15-25 lb. backpack and hike rugged terrain for up to 5 miles daily (higher mileage for Level 2). 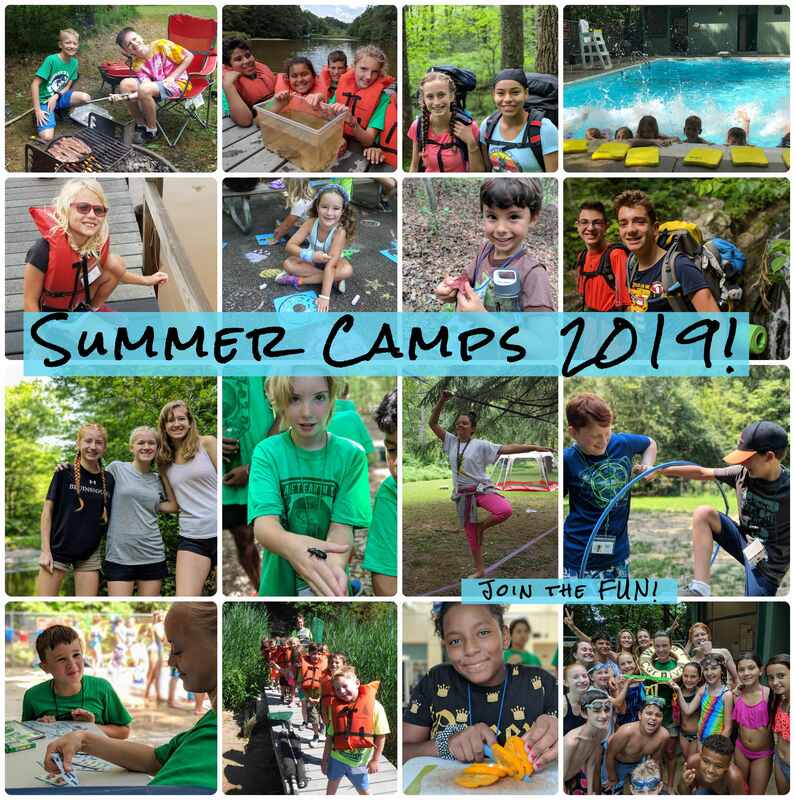 If you have any questions about whether High Adventure Camp is right for your camper, please don’t hesitate to reach out via the contact information below. Ted Hall, Arlington Echo Teacher Specialist, and Eóin O’Neill, Arlington Echo Outdoor Educator, will direct the camp with the assistance of other full-time Arlington Echo staff. Staff have extensive outdoor experience and training in Wilderness First Aid. 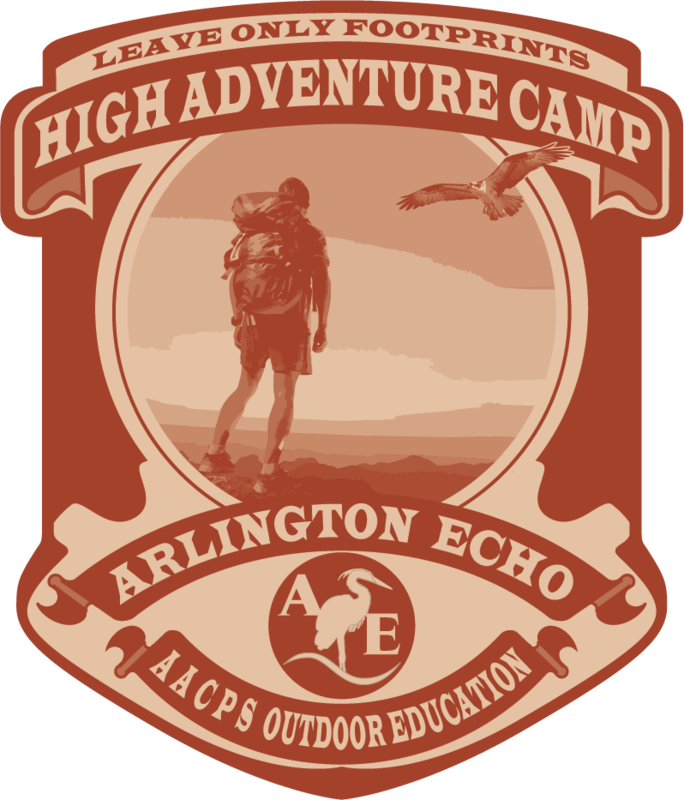 For more information, please contact Arlington Echo Outdoor Education Center at 410-222-3822 or email Eóin at eoneill@aacps.org. The $700 fee includes meals, transportation, accommodations, activities and instructional materials. A deposit must be included with the application. The balance is due upon acceptance to the camp. Full payment is due 30 days prior to start of camp. If full payment is not received by this time, your child’s reservation will not be held. After this date, we cannot guarantee that space will be available when your payment is received. If a cancellation is made before the 30 day time period, a 100% refund will be issued (with a $10 processing fee). If a cancellation is made any time between 30-15 days prior to the start of camp, a 50% refund will be issued (with a $10 processing fee). No refunds will be issued 14 days or less prior to the start of camp. Additionally, there shall be no partial refund granted for any camper’s late arrival, early withdrawal, non-arrival or dismissal for cause. All cancellations must be received in writing. 1. Submit a paper application via mail, register by phone (call Arlington Echo at 410-222-3822), or REGISTER ONLINE NOW! For up-to-the-minute camp updates, follow us on Facebook and Twitter! visit the AACPS Music Camps website! The goal of the Anne Arundel County Public Schools Enrichment Program is to provide students an intensive studio experience with activities focusing on the environment around them and the opportunity to make independent artistic discoveries. Develop your artistic voice as you work on independent artworks as well as collaborating with others. This year's activities include projects in sculpture, drawing, and mixed media collaborative. Swimming, canoeing, and back by popular demand- The Water Carnival will be offered again this year. These activities are supervised by certified aquatic instructors at all times. $275.00. Financial Assistance Scholarships may be available to students. Students will be provided with lunch and a snack each day. 1. Students must complete the application form by April 17th - including payment or scholarship application. 2. Selection by committee will be based on the student application form and artwork. Space is limited and expected to sell out quickly! 3. Selection decisions will be mailed to parents of applicants from the Visual Art Office. *Online registration** Applications will require you to create a Google login, unless you already have a Google account. If creating an account, it is not necessary to create a “gmail” email account - you can use any email address you currently own. Please note creating a login and Google account is free. Click here to - Apply online now! Students selected to participate will receive a map to Arlington Echo, a student camper information form, and a sample schedule of activities for the week as well as transportation information.